← Netty’s First Ramen Run! We both ordered the Spicy Garlic Miso Ramen and it was actually pretty good. The broth was made of vegetables, mushrooms and seasonings, and the toppings were a bean curd chashu, grilled mushrooms and tempura mushrooms, green onions, nori and bamboo (which I asked to leave out.) 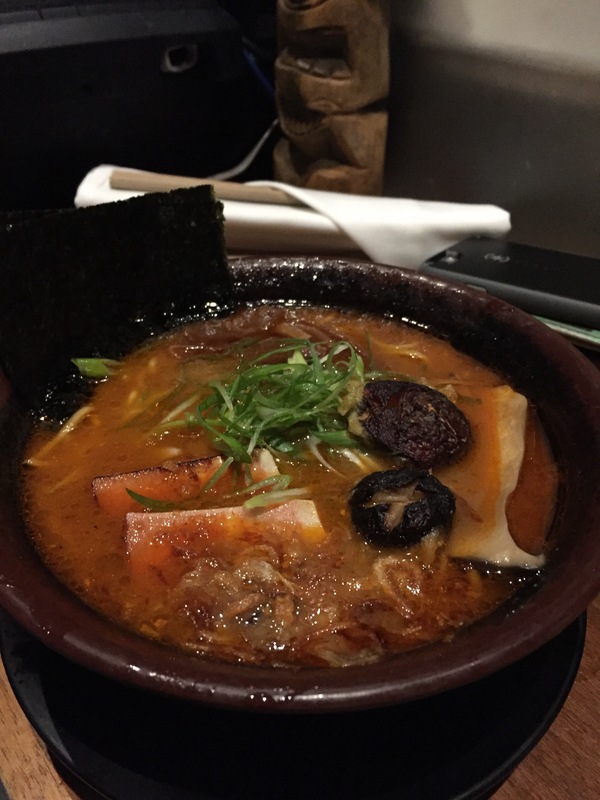 The chashu was interesting, it had a smoky pork flavor to it, but you knew it was not real pork. I think it could have done without it because I never was a fan of vegetables trying to taste like meat. But I really loved the tempura mushrooms. 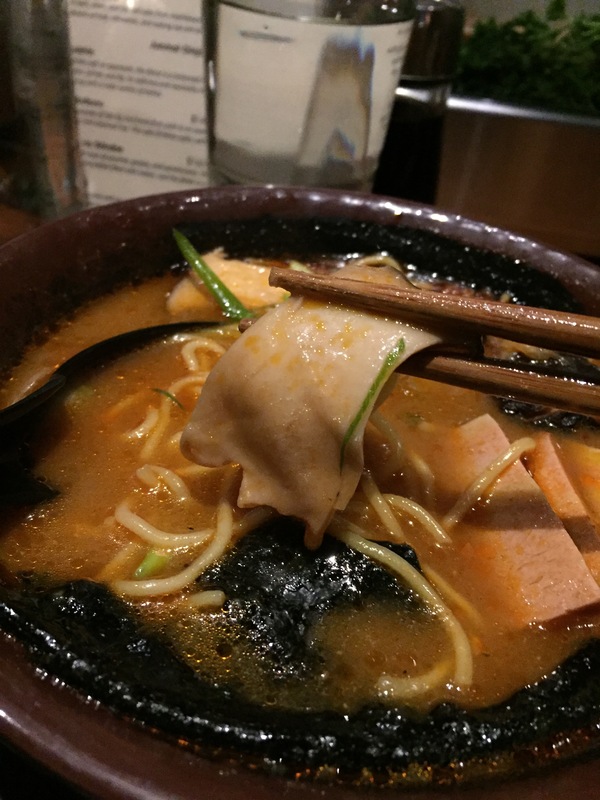 The noodles were descent, and the broth was very flavorful. 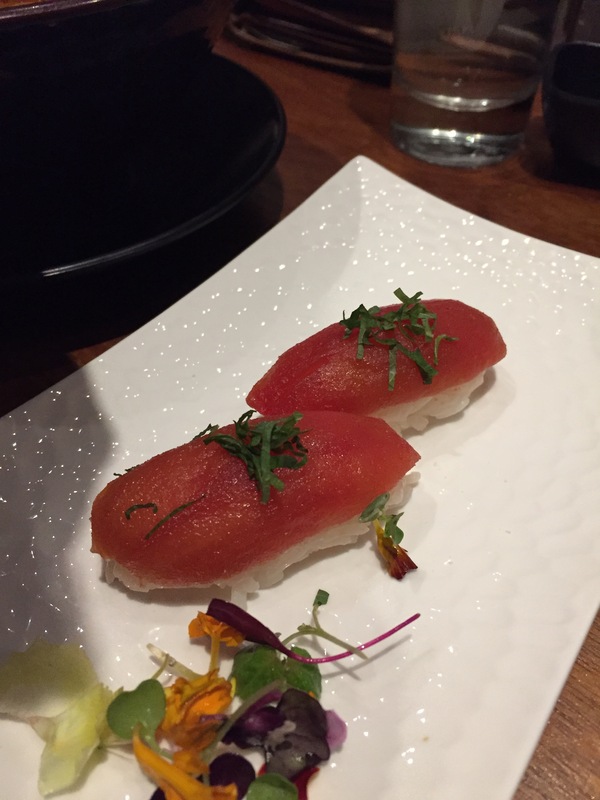 We also ordered a tomato sushi just to try it, and it tripped me out how it looked just like tuna. However, it didn’t taste a thing like tuna and it kept falling apart. I probably wouldn’t order that again because I felt it didn’t have anything special about the way it tasted. Overall, I think I would come here again if I wanted ramen in San Francisco. Tuna? Nope. This is actually a tomato sushi! We had an awesome time on our road trip to San Francisco. If I could write a blog post about it, I would. To sum it up, we travelled gypsy style, with camping gear in the car, not knowing where we were going to stay each night. But we figured it out every time, and had an amazing journey up and down California. We easily found parking right in front of the restaurant and after 6 pm, it’s free. 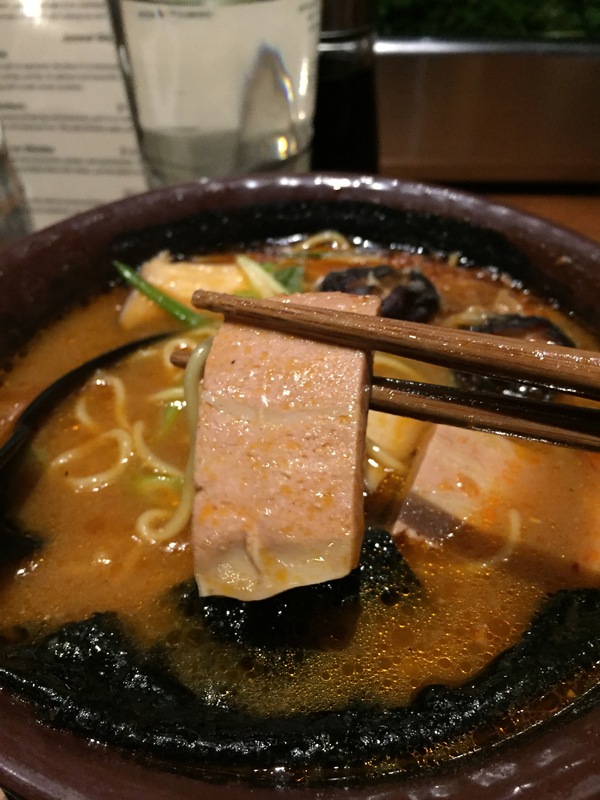 This entry was posted in Foodie, Ramen, Ramen Run, Restaurant Review, San Francisco, Vegetarian and tagged Ramen, Restaurant Review, San Francisco, vegan, Vegetarian. Bookmark the permalink.